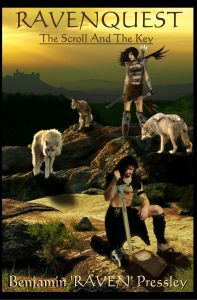 I’m really excited about my series RAVENQUEST. It is an exciting original fantasy/fiction series. Visit the world of Terra Zem… a world of many creatures. For many years there has been an ever-growing darkness and presence since the Zmaj have been gone. The Zmaj are the dragon guardians of Terra Zem. Terra Zem needs a hero. Raven and Skyeyes are but simple people who live off the land at peace with all creation until one day their adventures find them exploring a cave where they find a sword and are given a mysterious ancient Talisman known as the Oraquist that changes their lives forever. Will they become the much needed heroes of Terra Zem? What dangers will they meet along the way? 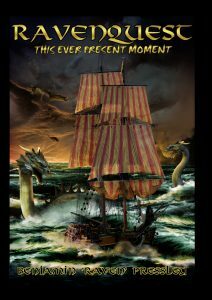 Only one way to find out as you travel with them in this first book of the RAVENQUEST series, HERE BE DRAGONS. The Skyebara is upon us…It is a world cleansing that will unite all the tribes of Terra Zem. It is said it is a ‘planting’ though and ‘not and uprooting’. That being said, there are still some citizens of Terra Zem who still seem to be gripped in the evil that Shinar brought upon Terra Zem, though Shinar is dead. It all depends upon a mysterious scroll and key being found and taken to the right place at the right time. It is said the scroll and key will unlock that which has been hidden for so long. Meet Caelholdt the Helmsman, Nuwolf the Guardian, Enya of the mysterious Teragaard, Jazeer of the Dreamworld and more as you travel with the Shadow Reavers on their continuing mission to free Terra Zem.My exciting series continues with book 2 entitled THE SCROLL AND THE KEY. If you love fantasy/fiction that is family friendly you will love the continuing adventures of the heroes of Terra Zem, the Shadow Reavers. Excitement! Action! Romance! Adventure! It seems so long ago that the Death Furies under Shinar ruled the land. It is said they all are dead or dying since the great battle with Shinar long ago. But are they truly gone? The Skyebara is having a great healing effect upon Terra Zem as it spreads but it is not without resistance. Shinar’s grip went deep. The ether is the living force in and of all things. 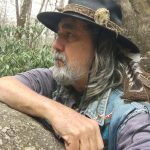 So connected is the ether to all of Terra Zem that any disturbance in the land is felt by all like a ripple in a pond when a stone is thrown, its shock waves traveling outward. Indeed there is a ripple in the ether but what is its cause? Will it destroy all the Skyebara has accomplished? Find out as you travel once again with the Shadow Reavers and meet new characters like the Arcamagi, Drogan, Grimhiss, Guymayne and many more as you read Book 3 of the Ravenquest series–A RIPPLE IN THE ETHER. The Shadow Reavers greatest quest is upon them as they reunite with Kwyjene of the Trocolane, now a seasoned warrior. Their adventures take them beneath Terra Zem in great caverns and even the very vortex of time itself. They travel upon the one great sea of Terra Zem, Terrakis in search of the elusive Dragones Seakind. Some say they are only legend Kwyjene knows in her heart they are not. Meet Blackstone the Unseen as he helms the great ship Covenant. Travel with the Shadow Reavers once again as they encounter giants, experience the Aardwerlde and meet the Woodsage. Meet a tribe consisting only of children and find out what happened to their parents. Fight beside the Shadow Reavers as they fight the Battle of the Red Mist in an invisible realm. All this and more as they find the deep meaning of THIS EVER PRESENT MOMENT. How do you fight an enemy that is faceless, formless and deadly? How do you fight an enemy that is made of the very fabric of creation itself? It will take a special weapon, an ancient weapon that is in separate pieces and hidden in the most dangerous places. Journey once again with the Shadow Reavers on their most dangerous quest ever to assemble a weapon in time to destroy a terrible, formless enemy that has the power to destroy the very veil that divides the realms and to halt the slaughter of the Archane Sentinels themselves before they all fall from the heavens as great stars. 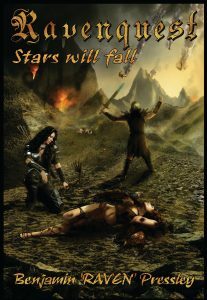 STARS WILL FALL but how many will fall before the Shadow Reavers find the parts of the ancient weapon needed and will they assemble the weapon in time? Find out as you read the exciting continuing adventure of the Shadow Reavers in Book 5 of RAVENQUEST: STARS WILL FALL. Adventure once again with the Shadow Reavers and this quest will be particularly unique as their twin son and daughter join them through underground labyrinths beneath a castle, crossing over into another realm, battles with the creatures of underground Crystalfall and ultimately facing a villain who has held the Dragones Terrakind captive for eons of time. Will the Shadow Reavers be able to rescue the Dragones Terrakind? 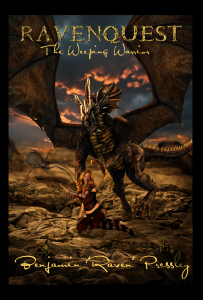 Will the Dragones Terrakind complete the restoration of the dragons of air, sea and soil? What powers will the twins have and how will they be of help? 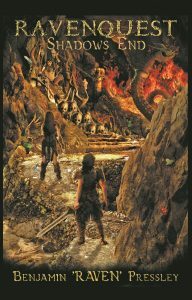 Find out in this the latest volume of the RAVENQUEST series: SHADOWS END. It has not been long since their parents Raven and Skyeyes have passed into the ether. The pain of no longer having them by their side is still very real. They are the twin son and daughter Jaden Onaga Thorn and Destini Storm. They fought bravely by their sides for many years but now they have to face the challenges of defending Terra Zem on their own. Their powers continue to develop gifted to them from their parents bonding with so many different creatures of their world. They read thoughts, they feel the pain of others and as arcamancers can even preserve life itself and more. But will it be enough to face the demon entity Megiddo who has escaped the pages of the ancient book of the Watchers, the Necrosong? 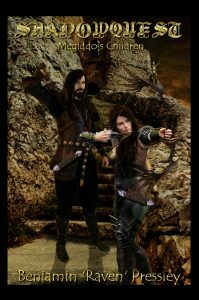 Join Jaden and Destini on the continued adventures of the Shadow Reavers in this series, Shadowquest. 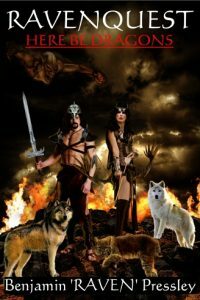 This series continues the story told in the seven volume series Ravenquest. 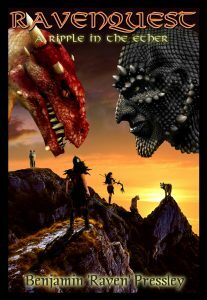 Read Ravenquest and enjoy this exciting continuation of the story in the pages of Shadowquest.